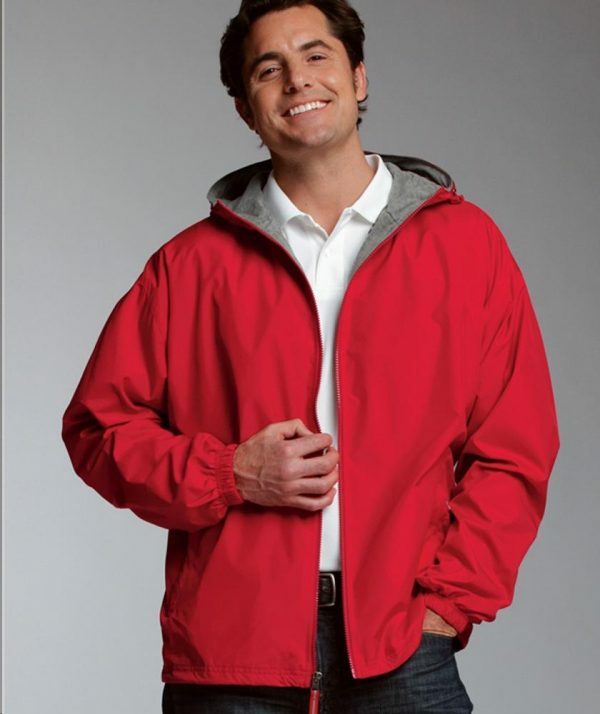 SKU: CR-9720 Categories: Hooded Jackets, Men's Outerwear, Polyester Jackets, Purple Brands: Charles River Apparel. Wind & water-resistant Softex Polyester with oxford grey jersey lining. Hooded, full zip design with reflective, easy grab zipper pulls. Covered zippered side pockets & elasticized cuffs. Open hem with shockcord drawstring. ESA System (Embroidery Stow-Away) for easy decorating access.